Distinctive Shanghai Erhu that showcases mellow sounds with a sense of delicacy. This Aged Rosewood Erhu crafted by established Erhu Master Maker, Zhang Deqi, provides an outstanding quality with money. With pure and complex tonal colors, this Aged Rosewood Erhu by Zhang Deqi especially suits onstage performances with its broad projection properties. At Shanghai Dunhuang Musical Instruments Manufacturer, where Zhang Deqi earned years of Erhu making experiences. He stood out with excellent craftsmanship, and his unique Erhu making style that elevates each piece of tonewood. 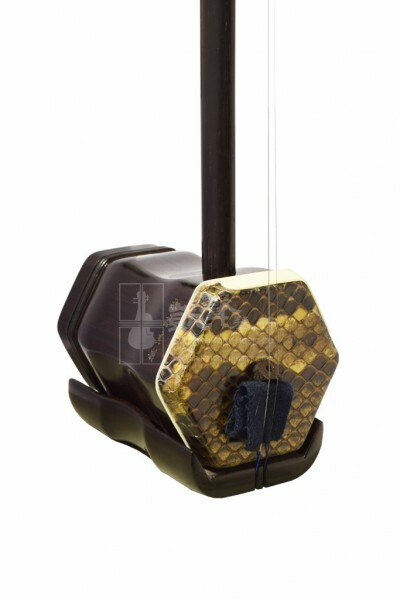 Shanghai Aged Rosewood Erhu by Zhang Deqi comes with a bow, a spare string set and bridge, a rosin and a case.